So you want to go around the world? In this post I’m taking a look at entry Visa’s, the importance of thinking ahead, the logistics you need to consider and some of the things to be aware of when trying to obtain them. Unless you are travelling the well trodden gap year path of the typical off the shelf round the world (rtw) flight deal: from Europe or N. America to East Asia, Australia, New Zealand, a Pacific drop-off and back through the States to Europe, where most destinations have ‘as you enter’ visas for western travellers, you’ll need to carefully consider visa requirements. Welcome to Visaland, a world of officialdom and bureaucracy! If you’ve read my blog you’ll see that my travels have taken, or will take, me away from the established routes to less travelled countries. There is always a thrill in taking the path less trodden, but stepping away from the established routes means thinking about visa requirements and at times this means thinking a few countries in advance. Until my first Wandering Volunteer trip I’d travelled quite widely and to some out of the way places, but generally these were as part of my summer vacations, which meant heading for a country, exploring it, but then flying back home. Sometimes I’d venture to a neighbouring country, but generally speaking only if it was reasonably easily accessible. Visa’s, if required at all, were just part and parcel of these trips and they weren’t complicated to arrange. My original plan, for the Wandering Volunteer, before the lure of the trans-Africa expedition ensnared me, was to volunteer in Ghana, then head to Tanzania, before crossing to India, Sri Lanka, onto East Asia and beyond. As my volunteering plans mean that I’m generally intending to stay in locations for more than normal ‘as you enter’ tourist visa will allow, I needed to get my head around how I was going to hop from one country to the next destination. Will I need to get it in London before I depart? If I get it in London, will it expire before I leave Ghana? 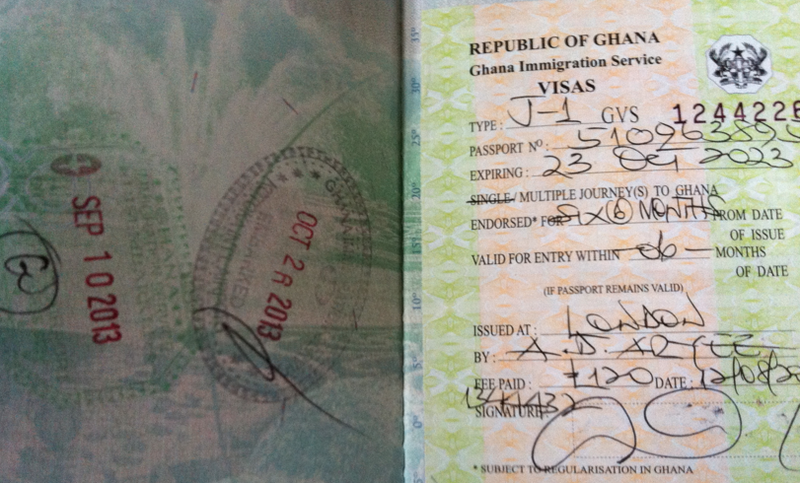 What happens if I want to extend my stay in Ghana? Assuming I obtain a visa, either while in Ghana or from London, for Tanzania that’s still in date, will I be able to get an Indian visa in Tanzania? These are the logistical calculations and steps that need to be taken each step of the way. My early investigations revealed the practical difficulties ahead and despite countless googling and twitter conversations I couldn’t find a great deal of advice from experienced travellers. Some patience, foresight and planning is therefore quite essential. Now I know that this goes against a lot of the purpose of solo, nomad and rtw travels and the dreams you have of getting away from everyday hassles, but no pain, no gain applies here. Even if that does mean being holed up in some embassy for a day, or more, waiting in line for your passport stamp. Visa’s come in all shapes and sizes, with differing durations and permitted entries, most countries offer 30, 60 or 90 days generally, although some countries are quite mean and will only go up to a maximum of 30 days. As a fellow traveller you’ll likely be purchasing one-way tickets to most destinations. I’m nearly always buying a one-way ticket for the flights I take and this can cause problems and time when you’re facing an immigration geezer at passport control. They get nervous about one-way travellers, they think we are going to stay forever! So when you make your visa application, take time to enclose, or take along to the consulate with you, details of your itinerary. The better the detail the more likely a smoother process. Prove that you’ve already made and paid your accommodation reservations in your subsequent destination, have evidence of the funds that you have at your disposal and can finance the cost of your stay. Not all countries can afford to maintain the luxury of countless embassies, so don’t expect, as just one example of literally thousands of permutations, to find a Thai embassy in Liberia. The larger embassy networks tend to be maintained by more affluent countries, former colonial powers or countries that look to project influence on a large scale. The US for example has 294 of them, which is quite something when there are only just over 200 nation states, while the UK has 227. Where you’re not travelling to an adjacent or proximate nation. For example my intended route from Ghana to Tanzania hit a stumbling block when I realized that there was no Tanzanian embassy in Ghana. Most neighbouring countries will have reciprocal embassies. This is common sense as it aids diplomacy where there are likely to be common interests, but once you move away from immediate hinterlands the presence of foreign embassies lessens. Not all countries encourage tourism or visitors in general and make the task of applying for a visa difficult and challenging, Angola or Ethiopia being examples of countries that require you to apply from the country of your nationality. It doesn’t matter if you are in neighbouring Namibia and plan to cross overland into Angola, if you haven’t already got your visa and you’re a UK passport holder, then you’ll need to fly back to London and visit the Angolan embassy there. The same applies for most nationalities, hence a US citizen will have to go back to DC, the French to Paris, etc., etc. 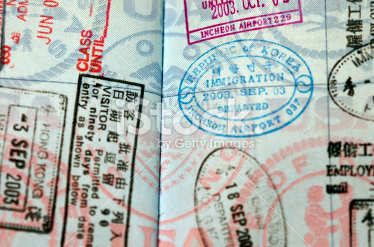 A visa is usually time limited from the date of issue. Apply too early and it may expire before you arrive. Apply too late and face the risk that you will not have you visas in time to depart as planned. As you can see once your dream plans and must see destinations dictate a need to go beyond the norm, then you begin to scratch your head and think logistics. In my next posting on this subject I’ll look at the use of Visa agencies and how they can help take some of the hassle out of making applications. 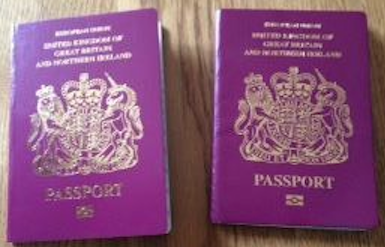 Also, I’ll be looking at the usefulness of having a second, or concurrent passport, why they are elusive and how to increase you chances of success when applying for one. Always check out Lonely Planet’s travel forum Thorntree http://www.lonelyplanet.com/thorntree/index.jspa Someone will have almost certainly have had some experience of whatever visa combination you are looking for. A search for visa and the name of the country you want and the city you want to apply for it in usually brings up some useful advice. If not post up a question yourself in the appropriate country’s thread and there is a good chance someone will respond. Dont forget to post up any info updates you discover. too true, visas can be a nightmare particularly in less travelled areas. What makes it even more complicated is countries will change their minds overnight in relation to the visa process. Some embassies will tell you one thing in one country, then go to the next and you will be told something else. My advice is go with the flow … most embassy staff are very accommodating and will bend over backwards if it is in their power to do so.